I’ve previously reported that parents gave their child’s “unhappiness” at school as a major reason for home educating, and I just wanted to unpack that a little here. 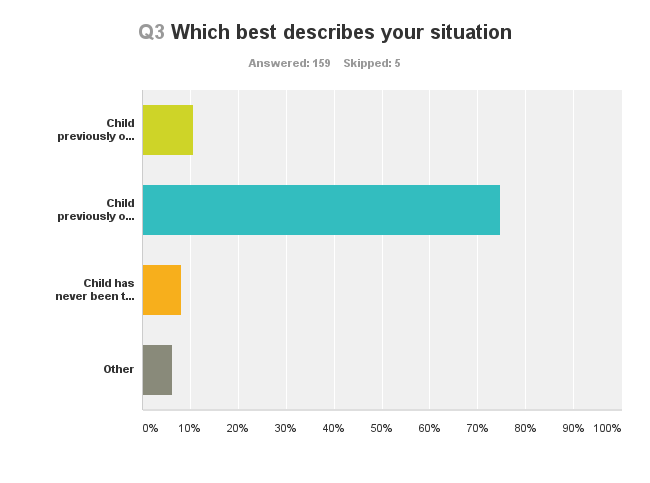 Most of the children in the survey had previously attended school and didn’t have a statement, largely because parents are told that their child doesn’t “really” have special needs. 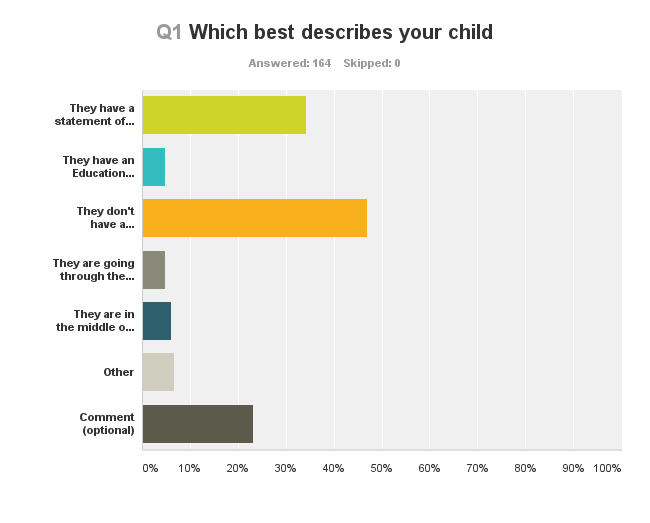 Even when parents managed to get a statement of SEN, the situation doesn’t necessarily improve. “The special school would’ve accepted my child but the delay in the process of statementing/ehcp meant that he has missed the opportunity AGAIN.